U.S. Border Patrol reported Saturday that it had apprehended several individuals “associated with the Central American Caravan” who were trying to cross illegally into the country. 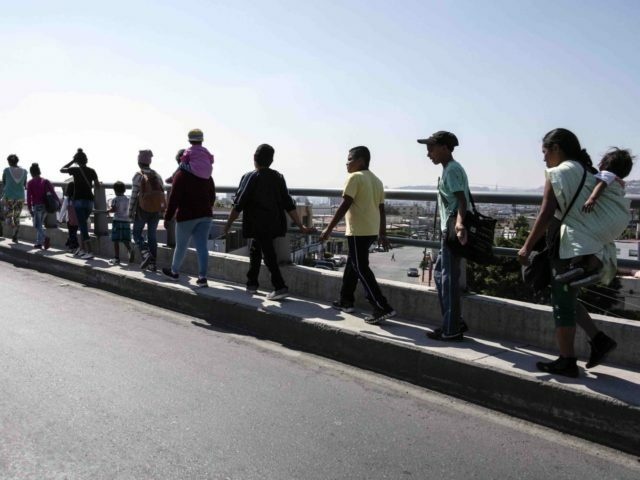 While many members of the group reportedly planned to apply for asylum at the San Ysidro point of entry on Sunday, others had tried to enter the U.S. “by climbing over the dilapidated scrap metal border fence” on Friday and Saturday, according to a statement by U.S. Customs and Border Protection Chief Patrol Agent Rodney S. Scott. “In several of these incidents, children as young as 4-years-old, and in one case a pregnant female, were detected entering the United States illegally through a dark, treacherous canyon that is notorious for human and drug smuggling,” Scott said. The Times reported that members of the caravan spent Friday and Saturday receiving legal advice and training for how to present themselves to request asylum at the border on Sunday.